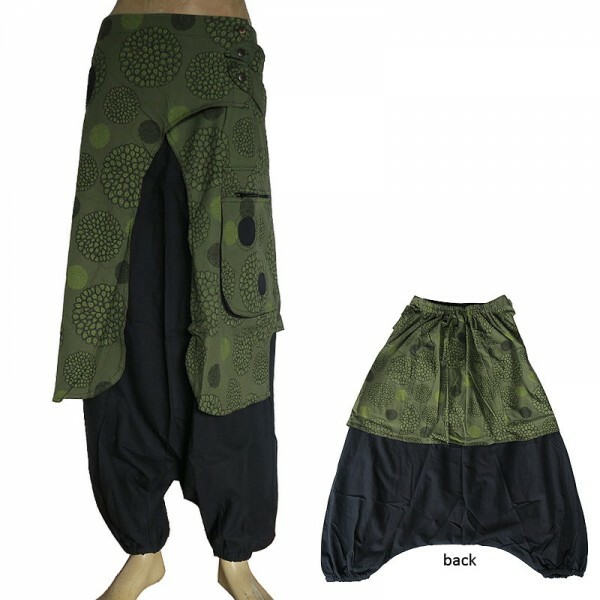 Elephant ear design Afghani loose fit style fine cotton black colour trouser with printed green colour outer layered circle shape and zippered close front pockets. The trouser is unique with a side buttons and elastic is used at the waist to fit it comfortably. Since the trouser is entirely handmade, there can be slight variation in the colour and measurement. The weight of the product is calculated for the shipping purpose, hence the actual weight can be different than it is mentioned here.